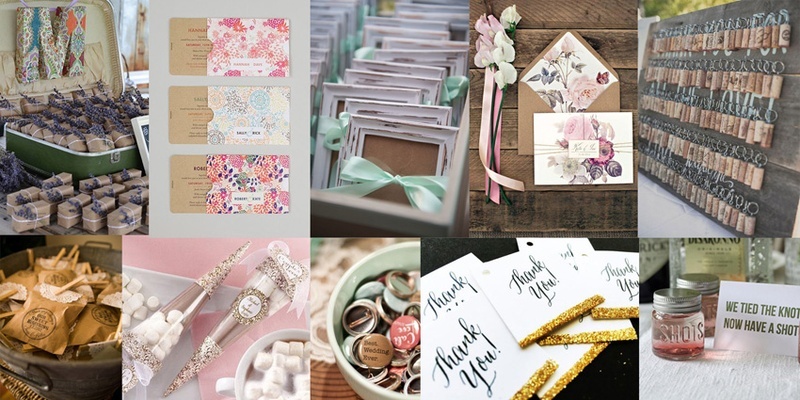 Hello there, we’re back again with our #SummerWeddingSeries and this time we’ve got your back on the most crucial, make or break element of any wedding: the invitations and wedding favours. Most guests tend to speculate what they can look forward to at your wedding depending on the kind of invitation they receive. Since summer is all about experimenting with bright, fun and peppy colours, give your guests a real scent of the summer air with your invites. And if you want your weddings memories to linger in the mind of your guests for months, years or a lifetime, what better than unique wedding favours that suit the season too. So, taking the proverb “ek teer se do nishaane” one notch higher, we’ve got you some interesting finds for invites and favors keeping in mind the colour schemes that we’ve been following in our #SummerWeddingSeries. For the invites lace or textured is a pretty bet. While yummy macaroons or candies in mason jars can be quite a sweet treat as wedding favours. To beat the heat, gourmet flavoured bottled drinks could also make for a great giveaway. Lace and satin wedding invitations can never go wrong in displaying sheer elegance. Scroll-in-a-bottle wedding invite can be a perfect unconventional option if you’re having a beach wedding. Beautifully decorated red velvet cupcakes, mason jar filled with cakes or chocolates packed in red and fancy gold boxes are best choices for edible wedding favours. Personalized canned drinks could also make up for a great giveaway. The more the merrier! If you like it that way, then motif and floral designed wedding invites are sure to grab your interest. For wedding favours - coloured candies, cupcakes, fortune cookies, cake popsicles, oh well, the choices run as far as your imagination. With purple, the focus is all in the packaging as the colour speaks for itself. Delicately embellished or layered invites and cutely wrapped boxes with satin or pretty butterflies for wedding favours are guaranteed to steal the show. Give away your love to guests with Hershey’s kisses or homemade jams or pickles or scrubs packed away in cute little jars. Most of the ideas featured above could easily fall under the DIY bracket, whether it is your wedding invite or favours in the form of bookmarks, pull out chocolate boxes or cushions. Hand-painted invites and peacock feather designed cones are options if you’d like to splurge a little more. Cute little butterfly or heart cut-work invites are an ideal choice for you bachelorette or bridal shower. XO shaped donuts, pink popcorn and candy floss can be some cute favours for your bridal party. Embossed, stencilled or textured wedding invitation cards in gold impressively enrich its appearance. Gold luggage tags, glittery tissue boxes, chocolates wrapped in gold and lace, mini cupcakes in gold boxes, or spectacularly wrapped Ferrero Rocher could be the ultimate wedding favours that will make your guests feel like royalty. With colours so vibrant keeping the details simple is a smart thing to do. Simple and neat wedding invitation designs coupled with ribbon or embellishments do a swell job. The same goes without saying for wedding favours.